The Perry Piecemakers Quilting Guild is in the midst of a three-day quilting retreat at the Mount Olivet Lutheran Church. 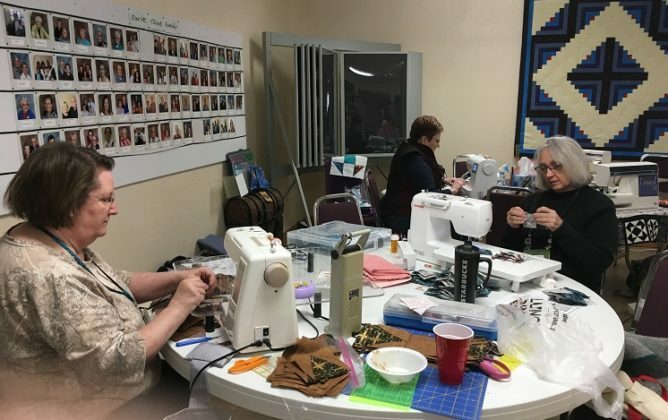 Some 30 pairs of steady hands and clear eyes are spending Thursday, Friday and Saturday working on projects for the community and individuals. 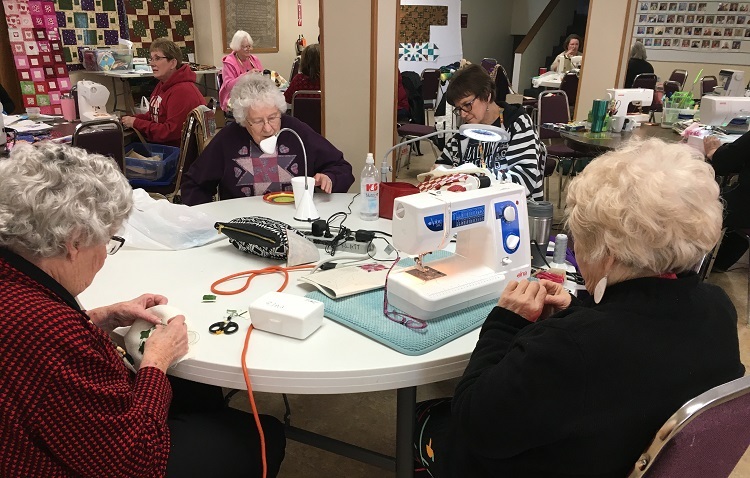 “Lots of creativity,” said Perry Piecemaker Lois Hoger. 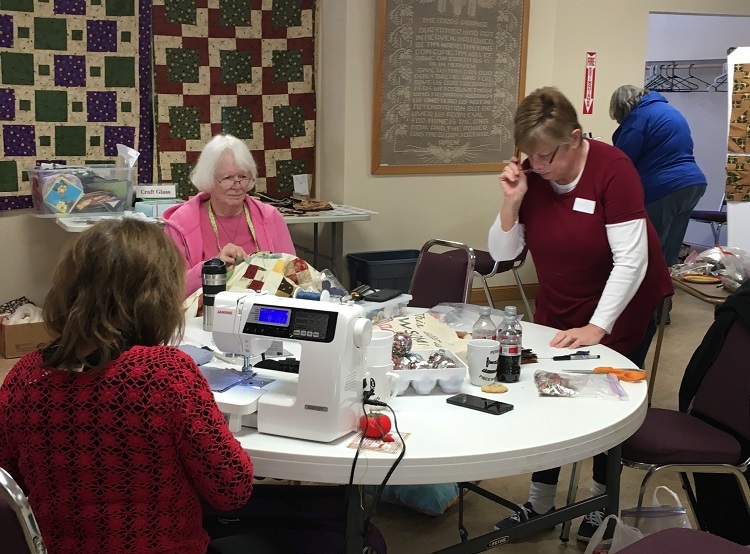 She said the retreat was the brainchild of master quilter Joanne Warnock of rural Perry.